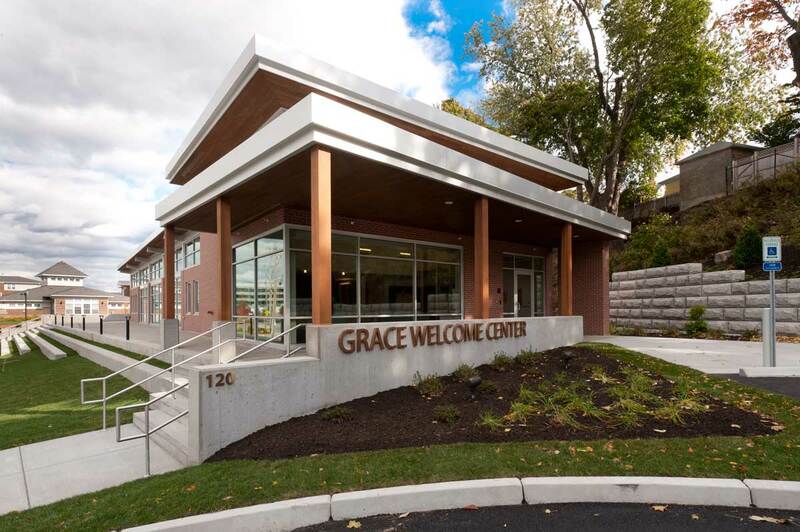 The Grace Welcome Center serves as the first stop, and first impression, for visitors arriving at Johnson & Wales University's Harborside Academic Campus. 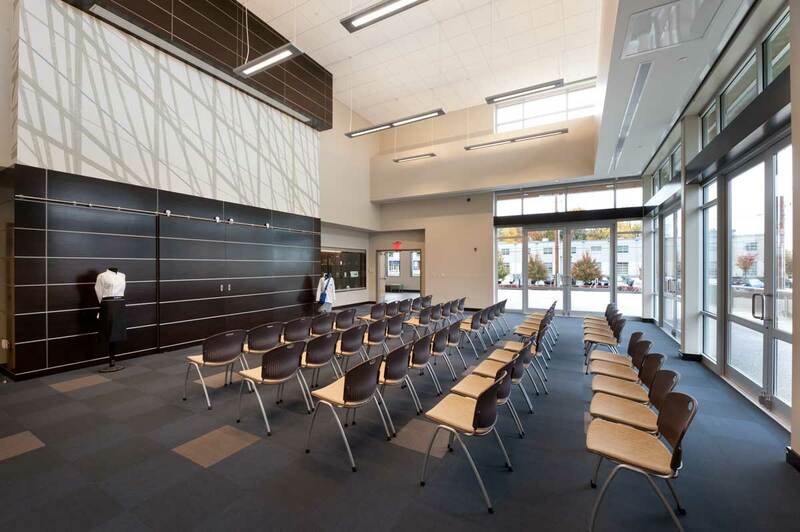 As the gateway to the campus, the Welcome Center is an inviting destination for newcomers, and provides a panoramic view of the Harborside Campus. 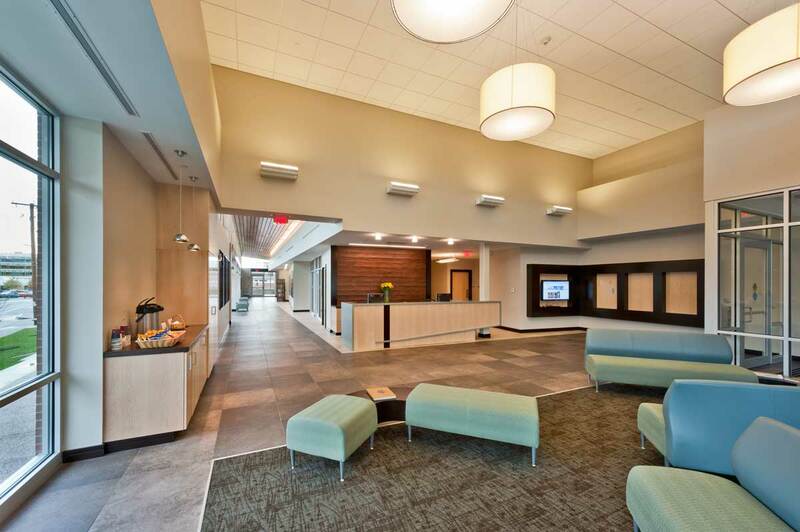 The building is anchored by a daylit entrance lobby, and includes a gallery, a multi-use presentation room with state-of-the-art audio and video systems, administrative offices, and meeting space. 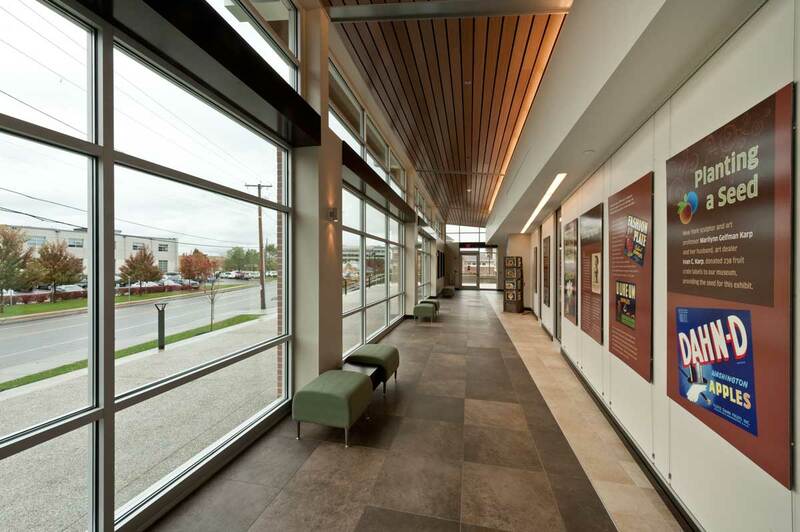 The building façade consists of glass strategically placed to offer visitors views of the campus and to maximize daylighting. An outdoor terrace and amphitheater provide gathering space for students and visitors to relax and enjoy views of the Harborside Campus. 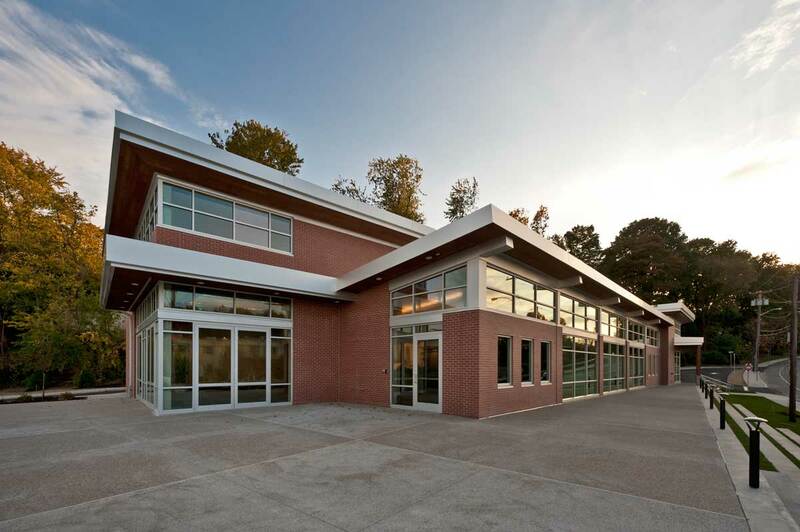 The challenge was to design this multi-functional project on a constrained teardrop shaped site that was heavily sloped, partially located in a coastal flood zone and a Brownfield site. 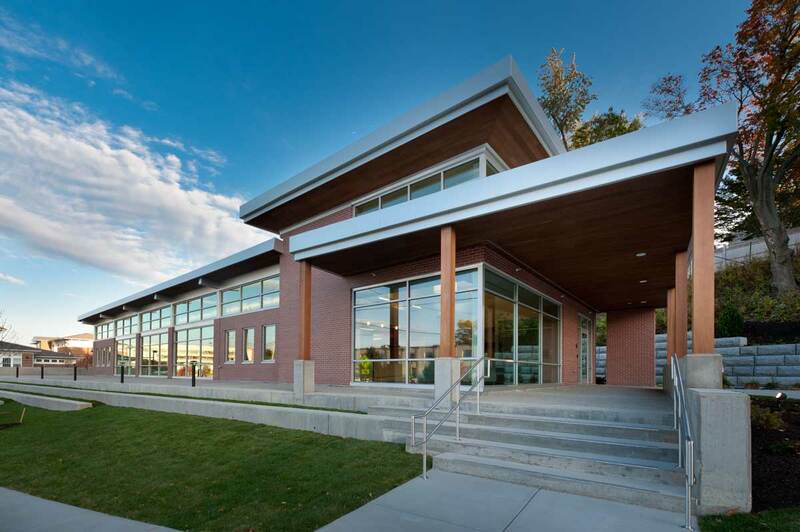 The natural slope and elevation of the site afford a unique perspective from which to overlook, and introduce visitors to, the campus. 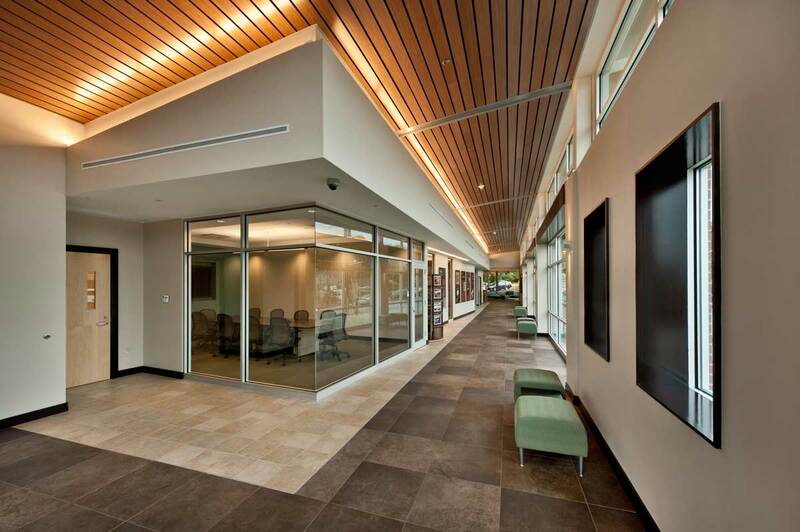 The building was awarded LEED Gold Certification as established by USGBC. 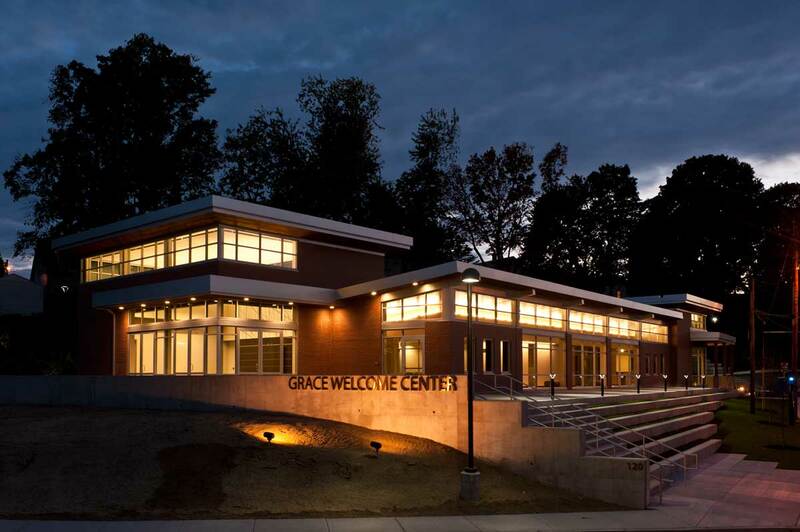 The project has also successfully achieved Certification through the Advanced Buildings Program as administered by the local utility - National Grid.